This soft paste marine wax provides long-lasting protection from UV radiation, dirt, salt, and oxidation. Its non-abrasive formula is easy to apply, dries quickly, and is easy to remove. Cleaning, compounding, and polishing bring back your boat’s color and gloss, but the job isn’t complete without a good wax. Without wax, the elements will quickly undo the work you’ve put into restoring a gelcoat finish. 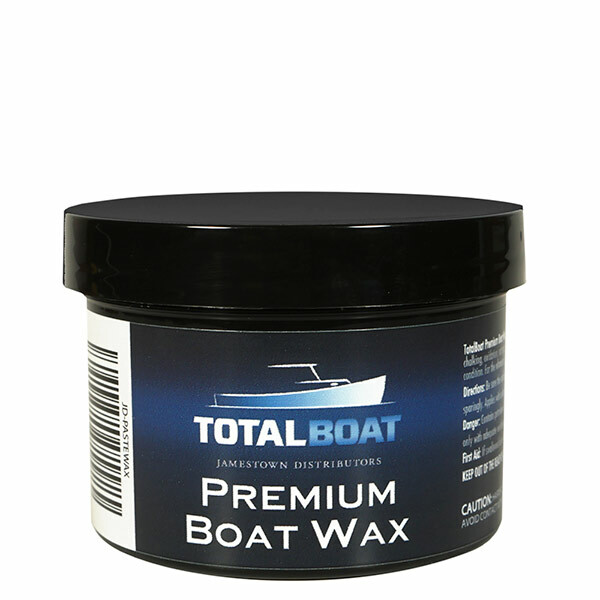 TotalBoat Paste Wax protects and preserves fiberglass finishes by providing long lasting shine and superior weather protection. Its fast-drying formula lets you make quick work of waxing, so you can get out on the water faster. For a comprehensive boat cleaning, polishing and waxing solution, consider the TotalBoat Hand Polishing Kit (sold separately). This all-in-one kit includes TotalBoat Premium Boat Wax as well as our Boat Soap, Fiberglass Polish, an applicator pad, and a microfiber cloth.